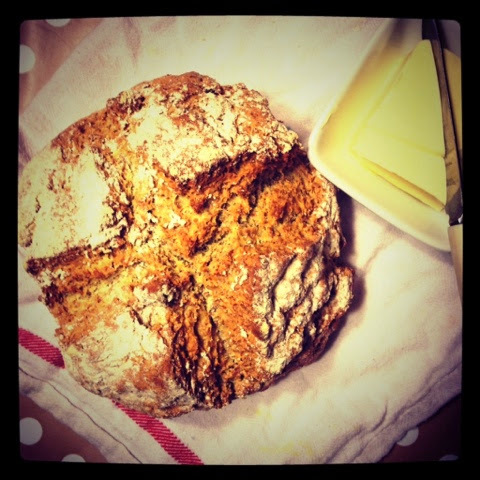 Last week I received this fab recipe for Follains preserves brown bread. The emphasis on this recipe is there is very little elbow grease required when making this bread, and let's be honest that's music to everyone's ears. Start by preheating your oven to 190". Then in a large bowl add in all the dry ingredients and mix together with a whisk. Next pour in your oil and buttermilk and with your hand combine lightly until your dough has gathered into a sticky ball. Pour your mixture into your lined loaf tin, score it with a knife and bake for 45 minutes. I found this recipe ridiculously easy to follow, super quick with maximum gratification at the end.